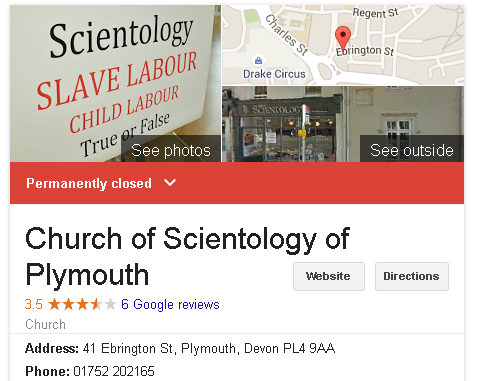 The Churches of Scientology in Plymouth & Dublin Have Closed… or Have They? 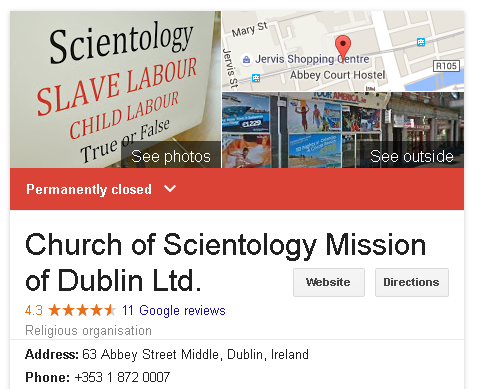 If you search Google for “Church of Scientology Plymouth” or “Church of Scientology Dublin” you will see a helpful sidebar from Google maps on the results page (image right). The entries for the Church of Scientology of Plymouth and the Church of Scientology of Dublin presently state that these places are “Permanently closed”. Is this the end for the Church of Scientology in the UK and the Republic of Ireland? Is it the beginning of the end for Scientology worldwide? A ctually, no, it isn’t any of those things. The sites in Plymouth and Dublin have not closed. However, there is a hilarious story behind this mistake – it’s a tale of desperation and deceit, and offers activists an opportunity to seriously confuse the Church of Scientology worldwide. 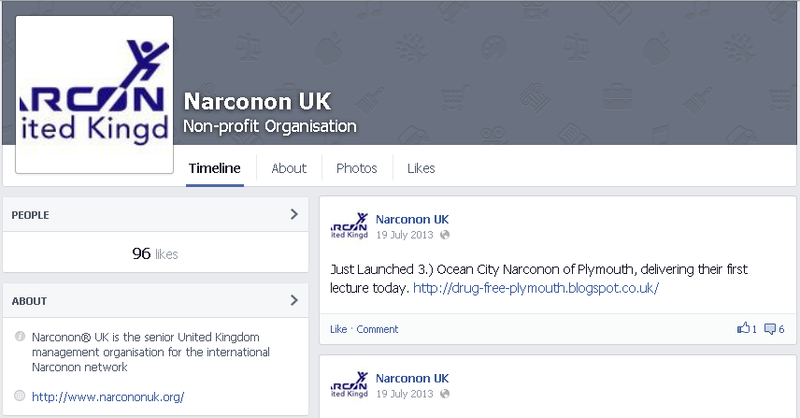 I’ve written about Narconon here before (especially their UK operation). It’s a front group for the Church of Scientology which provides expensive ‘drug rehabilitation’ services internationally. Upon closer examination, this turns out to consist of a sauna programme which includes overdoses of vitamins and minerals (the ‘purification rundown’) and basic Scientology ‘training’ (beginning with the Training Routines). This programme is ineffective, and positively dangerous, especially for people with drug &/or alcohol problems. For example, the purification rundown requires people to take niacin in overdose quantities – this can seriously harm a healthy liver. What could it to the liver of someone who has been abusing alcohol? Narconon does not have any active drug rehabilitation facilities in the UK – however, they still present a threat, by running ‘educational’ programmes in schools which promote Scientology ideas and, at one time, a desperate and irresponsible website promoting a ‘home detox’ scheme which is examined here and here. Thankfully,this site was eventually taken down by the Advertising Standards Authority (the organisation which features in my last post) after a detailed complaint. For those who are interested, I h ave preserved the insanity of ‘getoffdrugsathome.co.uk’ using The Wayback Machine. In part two of this series (published on the 21st of August) I discussed the extraordinary claims made by a website belonging to a company called Narconon Scotland in detail. In the text of their website http://www.getoffdrugs.org.uk/ they proposed that you could “Get off drugs at home” using a modified form of Scientology’s ‘purification rundown’. This is an exploitative and potentially dangerous idea. Consequently, I complained to the Advertising Standards Authority, “The UKs independent regulator for advertising across all media” – which has recently been given authority over advertising claims made on UK websites. The website sells Vitamin and mineral packs in an online shop,which are delivered by mail. These currently cost £150 for a weeks supply, which makes it impossible to argue that the site does not constitute an advertisement, according to the ASA rules. 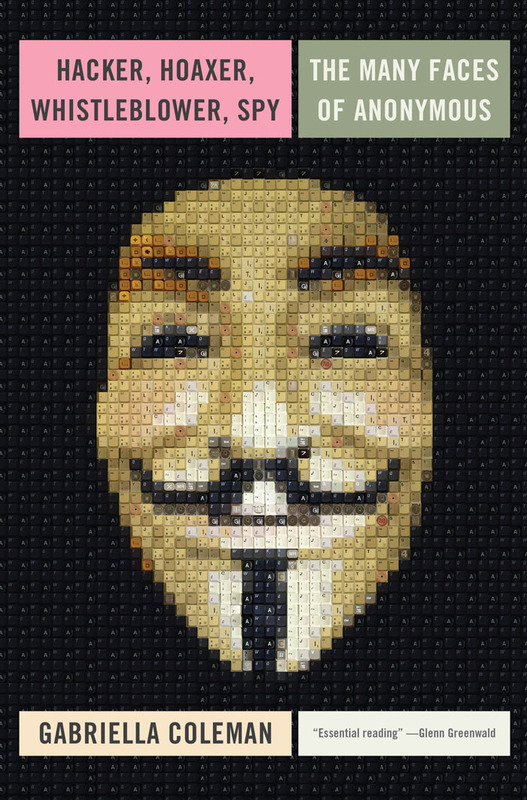 Update 25/11/2014 – This website now seems to be in permanent ‘maintenance mode’, and unavailable (for a possible reason, see Part three of this series). Luckily I saved it to The Wayback Machine (an Internet Archive) and it can be viewed here. I have tracked the misleadingly-named “New Centre in Scotland” down to a residential property on a Scottish housing estate. The “Self-help withdrawal programme” turns out to consist of a website squarely aimed at people who are having difficulties with drugs and alcohol, and at their families. Incredibly, this Narconon website promises that drug dependence can be effectively treated, and withdrawal symptoms ‘handled’, with the help of family &/or friends in the patients own home . The only external support offered by Narconon is by telephone and email – and for only 30 days. The website sells worthless (and potential dangerous) packs of ‘medicinal’ Vitamins and Minerals which are required to undertake the “free” programme. 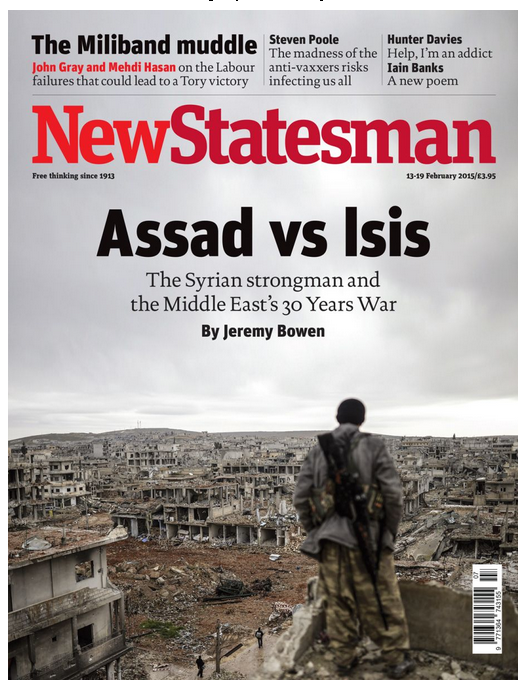 These cost £150 ($248.75) for a weeks supply – and are supplied through the mail. It is difficult to believe that anyone would undertake such a potentially dangerous and irresponsible enterprise. Worse yet, the organisation that is offering it is registered as a charity, and receives tax concessions.